Bachraj Ghat, Varanasi, Bachraj Ghat Uttar Pradesh, Bachraj Ghat India. 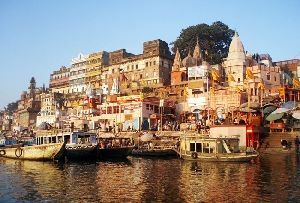 The cultural capital of India, called Varanasi, is one of the richest places of tourist interest in India. It is not only visited by the Hindus to whom it is one of the most sacred places on this earth but also by followers of other religions. 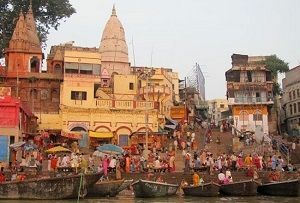 For the Jains, for example, Bachraj Ghat, Varanasi, Uttar Pradesh is of special importance. All round the year, Jain pilgrims throng Bachraj Ghat, Varanasi, Uttar Pradesh in order to pay homage to their Lord. 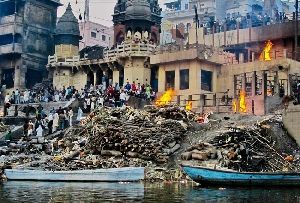 The sight of both Hindus and Jains at Varanasi truly defines secular India. Bachraj Ghat, Varanasi, India is not a Hindu Ghat like most of the other Ghats in Varanasi. It is a Jain Ghat, which is located at the banks of the mighty River Ganges. The Jain Maharajas are said to have owned this Ghat. 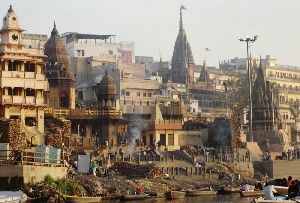 There are three Jain Temples located at the banks of the river. A visit to the three most consecrated temples is said to be a lifetime experience for a Jain Pilgrim. 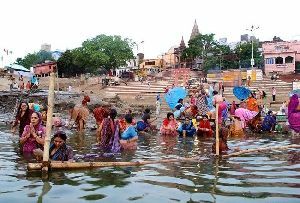 The jains do not just take a dip in the holy river; they also go and offer their prayers at the temples.